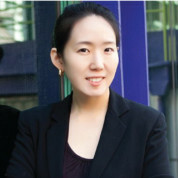 Yuhyun is a social entrepreneur and researcher on digital safety policy and digital citizenship education for children. She was named a Young Global Leader by the World Economic Forum in 2015 in recognition of her leadership in society. She has also been selected as an Eisenhower Fellow as well as the first Ashoka Fellow from South Korea. Her efforts on digital citizenship education have also been recognized by two international UNESCO prizes since 2012. Yuhyun has led the development of iZ HERO, which is a research-based digital citizenship education programme for young kids that teaches them how to use digital media creatively and responsibly. iZ HERO is internationally recognized and one of the leading cyber wellness programmes. The programme provides a holistic approach comprised of school programmes as well as an integrated multimedia learning experience, including a web game, online portal, and comic book in addition to an interactive digital exhibition featured at the Singapore Science Centre. It has demonstrated educational efficacy to improve children’s attitudes toward cyber risks through academic research. initiative to Korea, Japan and further the regional level in order to support children across the Asia-Pacific region in the coming months ahead. Moreover, she has worked with the city of Seoul, ICT companies, and the Korean government in order to set policies and practices to protect children from inappropriate, age-restricted online materials. She has also worked with UNESCO and SEAMEO INNOTECH in order to set regional policy recommendations for promoting digital citizenship in the Asia-Pacific region. She is currently the Director (Academic Projects) in the President’s Office at Nanyang Technological University. She completed her doctoral studies in Biostatistics at Harvard University and previously worked as a strategy consultant and senior analyst in the media industry at the Boston Consulting Group.